Is it possible to reconcile Jesus, the Prince of Peace, with religious violence? From the Inquisition to the burning of women healers to modern pedophilia scandals, spiritual leaders and followers are deeply divided about how to reconcile the teachings of Jesus with the atrocities of church history. How did his message get misinterpreted, and what relevance does that message have in the 21st century? 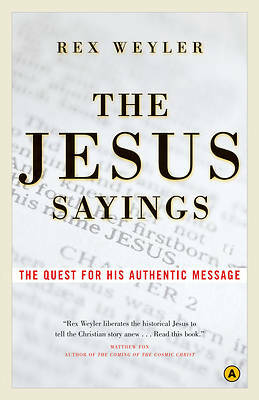 Here, critically acclaimed author and social historian Rex Weyler explores the mystery surrounding the historical Jesus, whose voice and words have been distorted by centuries of revision. By examining the research of international Bible scholars and some 200 ancient sources, including the recently discovered Gospels of Thomas and Mary, Weyler recreates the life of Jesus and his legacy, from the Roman Empire to the present day. Combining popular history with modern scholarship, The Jesus Sayings is a revelatory and highly readable work that entertains, inspires, and enlightens.